Why does wood that's been sitting in water for decades sound so good? I'm not sure, but my theory is that underwater is the only place you can find old wood anymore, and old wood sounds good! 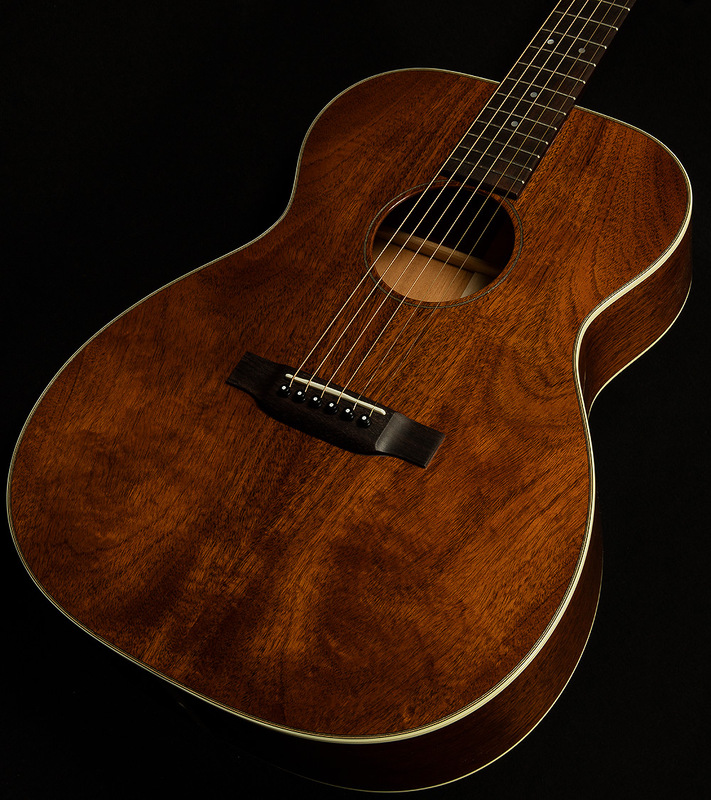 Whatever the reason may be, this Custom Shop 000-15 is made of sinker mahogany, and it sounds awesome! The 000-15 is one of my favorite Martin models, so it was a real treat to play this serial, because it is a shining example of everything the style can be. It has a thumpy, round attack that thoomps its way to your ear drums almost instantly. Speaking of thoomp, let's talk about the bass response! This serial's lows hit you like a tight, punchy kick drum. This powerful, drum-like quality combined with this serial's fast response time will bring joy to fingerstylists and flatpickers alike, but fingerstylists will especially love how easy it is to build a rock-solid low-end foundation with their thumbs. 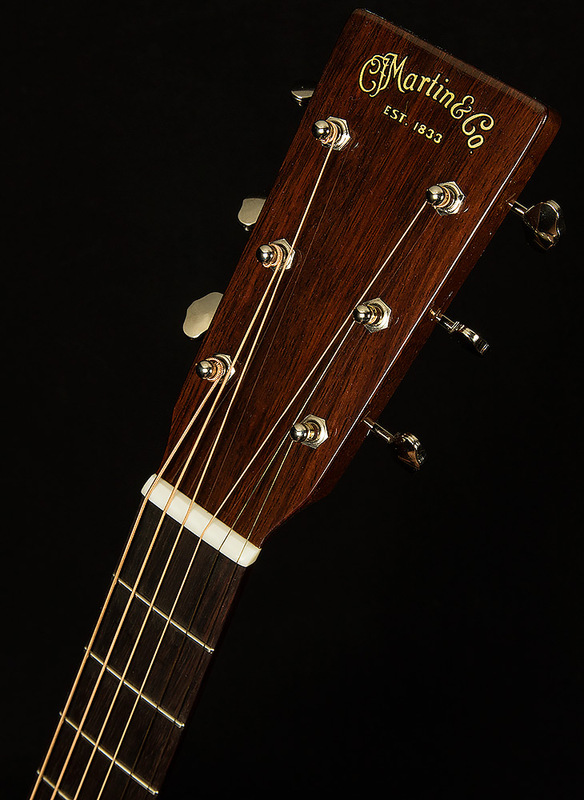 Great Martins always "fill out" beautifully when you play hard, and this serial is a great Martin! Here's what I mean by that: every acoustic guitar can only get louder to a point. Once it reaches that point (the edge of its headroom), it starts to become more compressed, and more sparkly overtones come out of the guitar--sort of like how a guitar amp produces more overtones when you crank it. For this serial, that point is pretty easy to reach, so you can easily pull lots more brightness out of the wood if you want. This makes for quite an expressive playing experience, and it gives this serial impressive versatility. The low mids produce a strong, clear fundamental, providing a great woody foundation for everything that happens above, like a wooden pillow. The upper mids can be quite punchy when you lay into the guitar, but they also can have a wonderful vocal quality when you ease off--perfect for lead lines when fingerpicking! 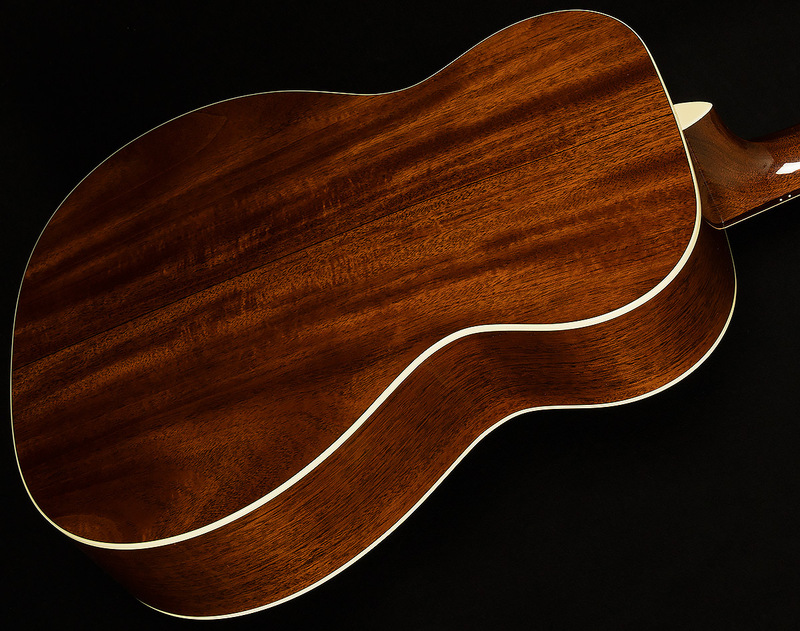 The highs are clear and transparent (but still weighty) at lower volumes, and when you strum hard you can really pull lots of overtones out of the mahogany and get a pleasant, sunny high-end to bloom above the warm, woody foundation. 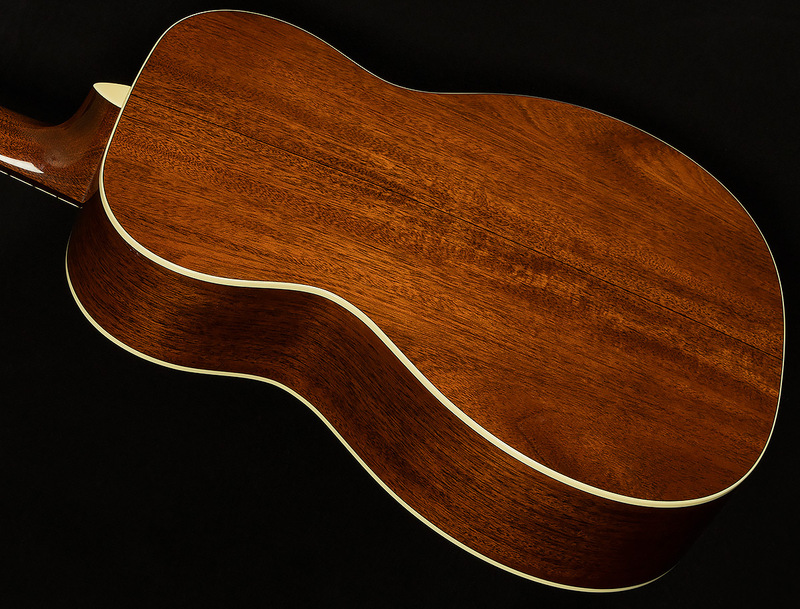 Mahogany's inherent roundness also makes for lots of even-order harmonics, which are quite pleasing. In fact, the frequency response of this guitar is so sculpted that you wouldn't really need to do much to it in post-production to get it to sound awesome on a record. It's definitely the sort of guitar that recording engineers love! 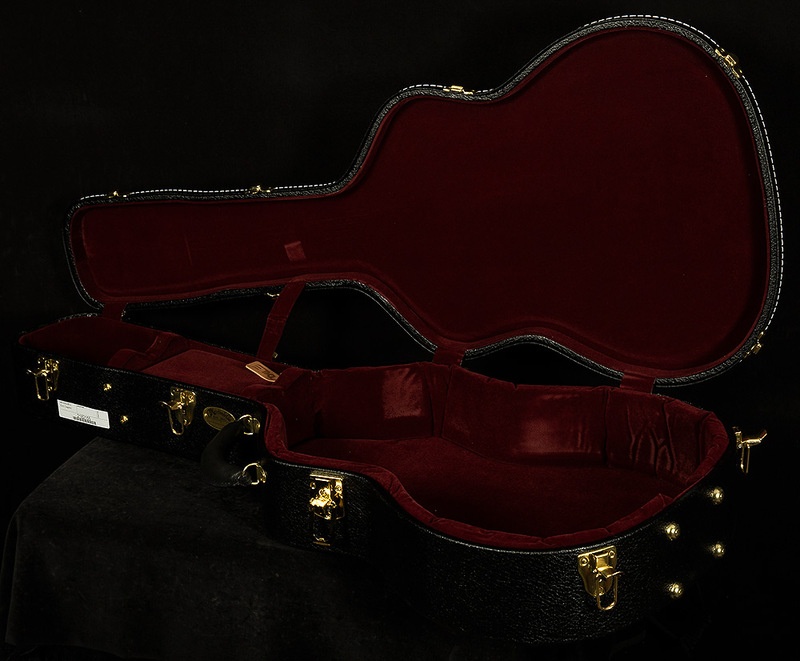 Flatpickers and fingerstyle players alike will find much to love here. Anyone looking to flatpick an acoustic with a full band will find the tone of this guitar to be a perfect complement to most mixes, yet it can still punch through with its midrange-forward voice. But, fingerstyle players will also love it provides such an intimate, expressive playing experience. No matter what style of acoustic guitar playing floats your boat, this sinker will make you smile for a long time!